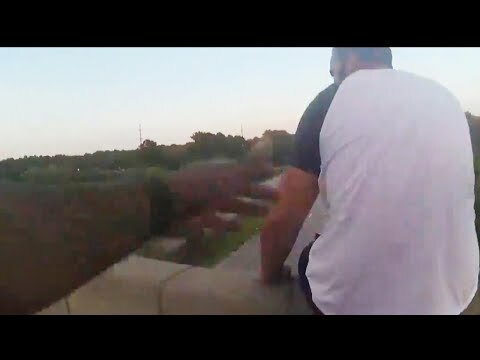 This is the incredible moment a deputy sheriff in Virginia pulled a man to safety from the ledge of a bridge. Deputy Sheriff James Robinson says he feared the man was going to jump after he put down his cell phone, so he made his move. The rescue was captured on his body camera. While Robinson can’t disclose why the man was sitting there, he did say they worked out an action plan and he hopes the man is doing well. InsideEdition.com’s Keleigh Nealon (http://twitter.com/KeleighNealon) has more.